University of Utah athletics have earned a reputation for big and dedicated audiences, but the U has a new bragging right emerging. For the fourth consecutive year, the number of student tickets issued to arts events on campus considerably increased, again setting a new record for audiences in the arts. During the 2014-15 academic year, the U issued 28,539 Arts Pass tickets, for a more than 20 percent increase over the year before. The Arts Pass program has been in existence since 2011, and allows students to use their UCard to get free or nearly free tickets to hundreds of arts events on campus each year. 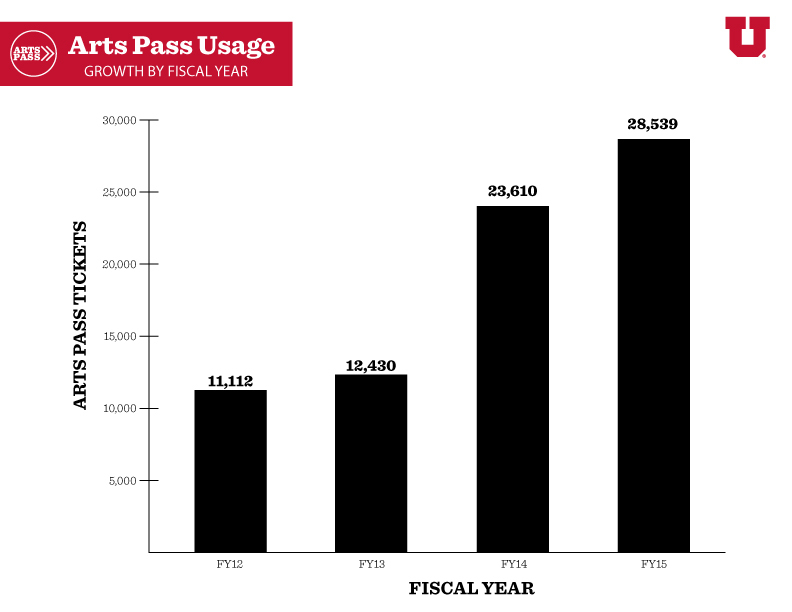 University of Utah football, during its 2014 winning season, issued 39,825 student tickets, making it the only sport to have a larger audience than the arts. 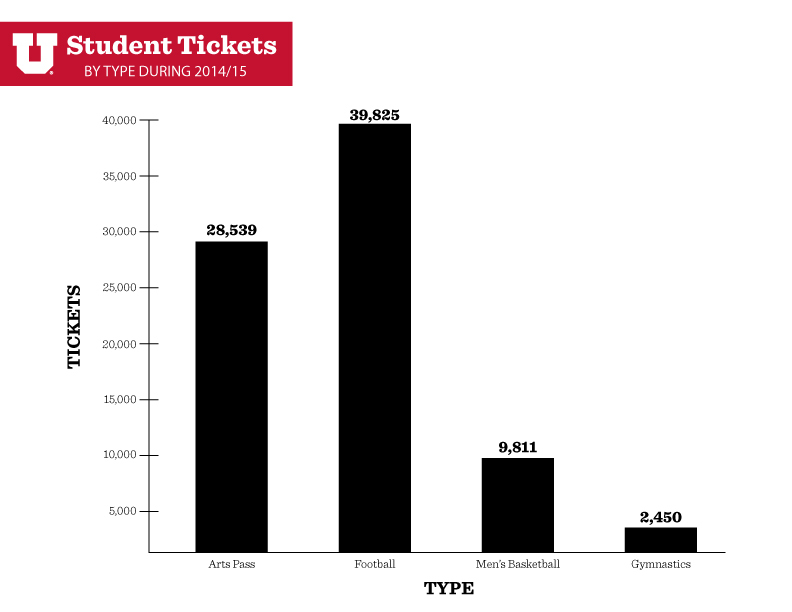 Even with a trip to the Sweet 16 for the Runnin’ Utes men’s basketball team and a Pac-12 championship for the Red Rocks gymnastics team, art passes more than doubled those student tickets. Some of the best-attended arts events included the Department of Theatre’s production of “A Funny Thing Happened on the Way to the Forum” and its award-winning production of “Threepenny Opera.” The interdisciplinary collaboration between the Departments of Ballet and Art & Art History and the School of Music for the spring production of “Cinderella” at Kingsbury Hall also drew large audiences. For more information on the arts at the University of Utah visit artspass.utah.edu or finearts.utah.edu.